Samsung Galaxy A5 2017 and Galaxy A7 2017 were unveiled earlier this month, but only a handful of markets have been able to purchase these phones locally. Not so long ago, the two phones were listed for purchase in Malaysia and they are also expected to start selling in the UK this week. The first market that saw the Galaxy A 2017 series was Russia, but it is only now the those in Brazil can speak the same language as their Asian and European counterparts. As usual with smartphones, the prices vary with markets. Even though the launch prices of both Samsung Galaxy A5 2017 and Galaxy A7 2017 are not supposed to make you break the bank, it seems folks in Brazil may be forced to. Apparently, a local news channel reveals that the two phones have been launched and they are priced at BRL 2,100 and BRL 2,300, respectively. When converted, these prices turn to about $670 for the A5 2017 and $735 for the A7 2017. These prices can get you a flagship device when in other markets. 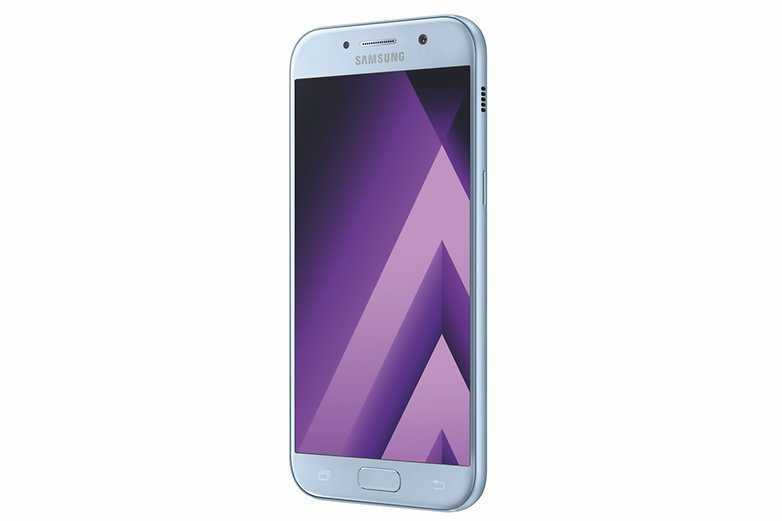 However, for those in the South American country, $670 will get you a Samsung Galaxy A5 2017 phone that ships with a 5.2-inch Super AMOLED Full HD screen with Always on Display, an Exynos 7880 processor clocked at a speed of 1.9GHz and is paired with a RAM of 3GB. In terms of storage, the Galaxy A5 2017 offers 32GB with room to expand it via a microSD card of up to 256GB. Both cameras have 16MP lenses, but the rear has more features than the front lens. To keep it alive is a 3000mAh battery that is charged via a USB-C port and supports fast charging. Most of these features are found on the $735-rated Galaxy A7 2017, but there are some differences as well. The screen size is larger at 5.7 inches, but everything else remains unchanged, including the Always on Display feature. The processor under the hood is still an Exynos 7880 octa-core clocked at a speed of 1.9GHz. You get the same RAM, storage, cameras, USB-C, and fast charging technology, but the battery is larger at 3600mAh. Extras for the two phones include a fingerprint scanner, Samsung Pay, Bluetooth 4.2 and IP68 certification, among others. There is no word on whether the smaller Galaxy A3 2017 will at some point be launched in this market, but for it to be missing is not strange. Similarly, people in the UK will not be able to get their hands on the larger Galaxy A7 2017, which is a strange move from Samsung. For comparison purposes, the Galaxy S7 was launched in the U.S. at a price of $670 and as of now, it is possible to grab one at an even lower price. On the other hand, the Galaxy S7 Edge came in priced at $770, which is just $35 more than what Brazilians will be paying for its understudy – the Galaxy A7 2017. As for other markets, only patience will land your any of the two phones, sooner or later.